The Rangers and Ryan Callahan were negotiating up to yesterday and at the end the New York Rangers were not ready to go up and meet Callahan’s offer at 6.5 million dollars per year. The two sides had an agreement on the term when Ryan Callahan came down from seven years to six years. 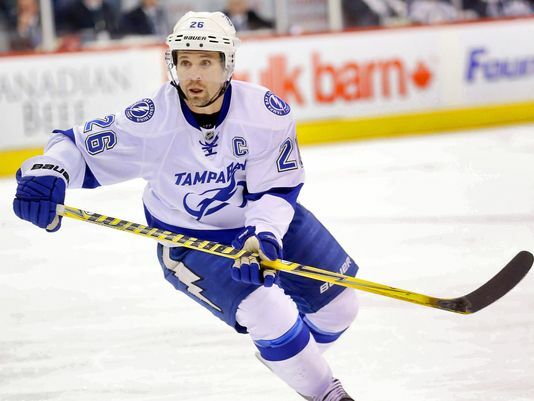 As for Martin St-Louis, the fact he was traded on the day Steven Stamkos announced his return for the next game after being cleared to play is somewhat of a shock. St-Louis who played in the Olympics and won the gold medal with Team Canada was not initially selected by his general manager, Steve Yzerman. He was later selected when Stamkos had to officially rest his leg and could not play in the Olympics. St-Louis saw limited playing time with Team Canada and St-Louis ma have been dissatisfied from not being originally selected by Yzerman. Martin St-Louis has 29 goals and 32 assists for 61 points in 62 games played while Ryan Callahan had 11 goals and 14 assists for 25 points in 45 games played. St-Louis will bring speed and skills while Callahan brings a gritty style that can score. The Ottawa Senators have agreed to extend Chris Phillips to a two-year extension worth 5 million dollars. Phillips was looking for a two-year deal while the Senators and Bryan Murray was llooking at offering a one year deal and go one year at a time. This deal will undoubtedly allow Phillips to finish his career in Ottawa. The Boston Bruins who were after Chris Phillips will have to shift their sight on another defenseman now that he is signed in Ottawa. The Edmonton Oilers have traded Ales Hemsky to the Ottawa Senators in exchange for a fifth round draft pick in 2014 and a third round draft pick in 2015. Ales Hemsky has been rumored throughout the season to be on the trading block is likely to play as Jason Spezza winger on the right side. Hemsky will have the chance to see if he deserves an extension since he will become an unrestricted free agent on July 1st. 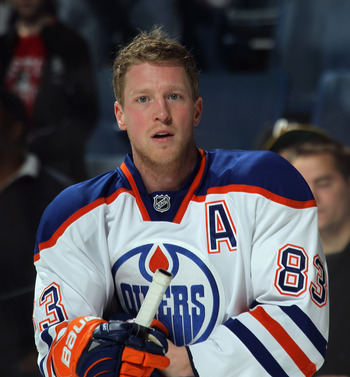 The Oilers will retain 50% of Hemsky’s salary for the remainder of his contract. Hemsky who scored two goals last night against the Senators has 9 goals and 17 assists with 26 points in 55 games played. This may be a new start for Hemsky who was relinquished to a secondary role with the arrival of Taylor Hall and Ryan Nugent-Hopkins, Nail Yakupov and Jordan Eberle in Edmonton. The Buffalo Sabres and the Los Angeles Kings concluded a deal that mainly involved prospects by sending defenceman Brayden McNabb, forward Jonathan Parker, a 2nd round draft pick in 2014 and a second round draft pick in 2015 to Los Angeles while the Sabres acquired American-born forward Hudson Fasching who was excellent for Team USA at the last World Junior Championship and defenseman Nicolas Deslauriers who was playing in the AHL for Manchester. 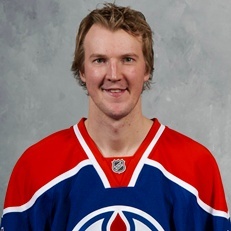 In a move for prudence, due to the injury to no.1 goalie Carey Price, the Montreal Canadiens have acquired goalie Devan Dubnyk from the Nashville Predators for future considerations. Dubnyk who was traded earlier this season to Nashville was only used in an interim measure while no.1 goalie Pekka Rinne was injured. Dubnyk never really got the chance to ascert himself in Nashville or Edmonton and his confidence was shaken according to co-players in Edmonton and Nashville. With the Habs, Dubnyk will be used as a third goalie when Carey Price returns. While Price is injured, backup Peter Budaj has been holding with very solid performances Following the trade, Dubnyk was assigned to the AHL team affiliate in Hamilton. Dubnyk with Nashville and Edmonton had a record of 11-18-3 in 34 games with a 3.43 goals-against average and an .891 save percentage. Last year Gaborik was also traded at the trade deadline when the Columbus Blue Jackets got him, Steven Delisle and Blake Partlett for Derick Brassard, Derek Dorsett, John Moore and a sixth-round draft pick. In 791 games in the NHL, Gaborik who was selected 3rd overall in 2000, compiled 342 goals and 346 assists. As for Matt Frattin, who was acquired in the Jonathan Bernier deal last year, once again he has been traded. Frattin with the Kings recorded 2 goals and 4 assists in 40 games played. During his short career, Frattin has scored 17 goals and 17 assists in 122 games played. He was drafted by the Toronto Maple Leafs in the fourth round (99th selection) at the 2007 NHL Entry Draft. The Florida Panthers traded forward Marcel Goc to the Pittsburgh Penguins in exchange for a 2015 third and 2014 fifth-round draft pick. Goc was rumored all season to be on the trading block played in 62 games scoring 11 goals and 12 assists for 23 points. A pending unrestricted free agent at the end of this season, Goc was in the last year of a three-year deal worth 5.1 million dollars. Marcel Goc was selected in the first round (20th selection) of the 2001 NHL Entry Draft by the San Jose Sharks. His career span over 10 years where he also played in San Jose for the Sharks and the Nashville Predators compiling 72 goals and 105 assists in 550 games played.